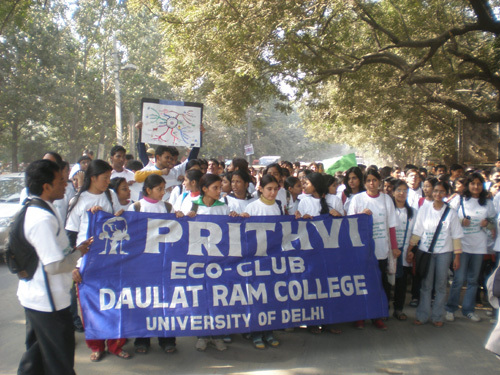 The University of Delhi marked 6th December, 2008 – the Global Day of (Climate) Action with speeches, plays, talks and a massive rally to spread awareness and demand action on climate change – especially from countries that can afford to, and are delaying not to by choice. 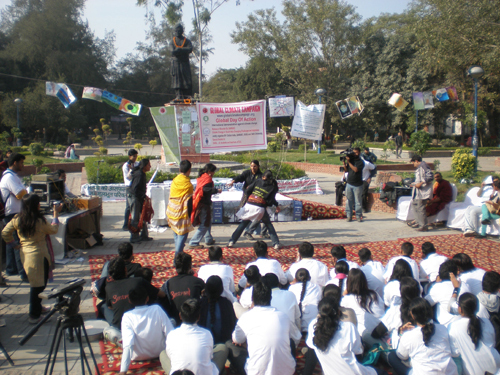 The gathering saw some prominent faces from the University itself, all of whom congratulated the youth for coming forward and together in larger numbers, over an issue that would no doubt impact our common future. 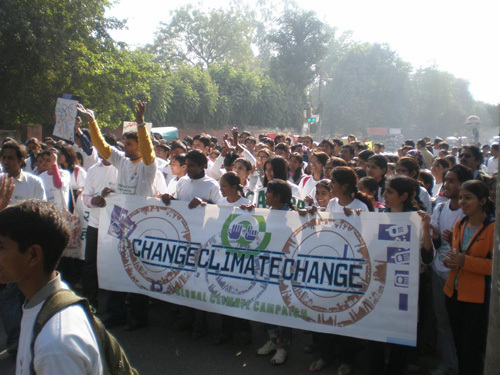 The day was full of energy and enthusiasm and became an inspiration for many, who pledged to go back to their colleges and initiate activities for spreading awareness on the issue of climate change. PrevPalash Sen on the sets of India’s First Green Song Video!